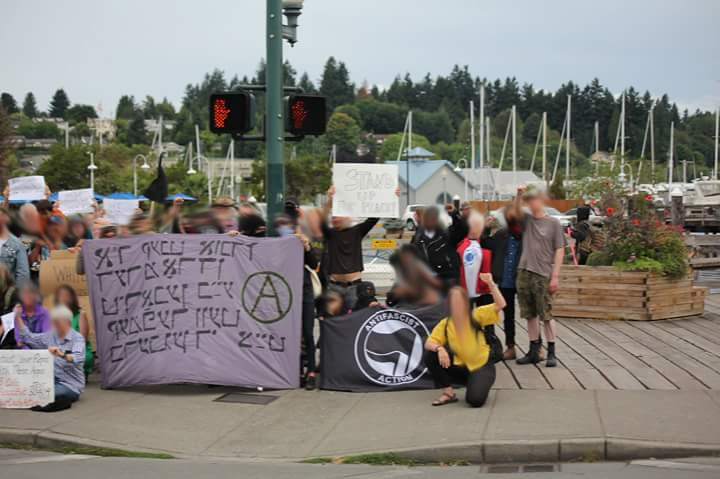 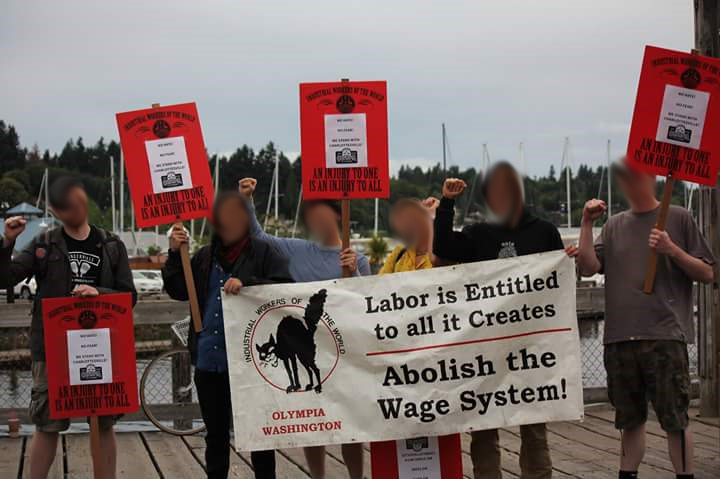 At 7pm on August 12th roughly 60 people, including anarchists, wobblies, antifascists, progressives and others gathered in downtown Olympia to show solidarity with comrades injured and killed fighting fascists in Charlottesville. 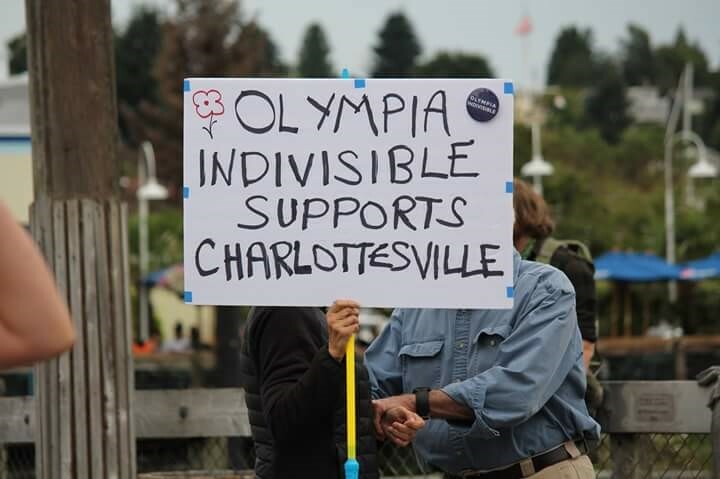 People spoke against white supremacists both in Olympia and around the country. 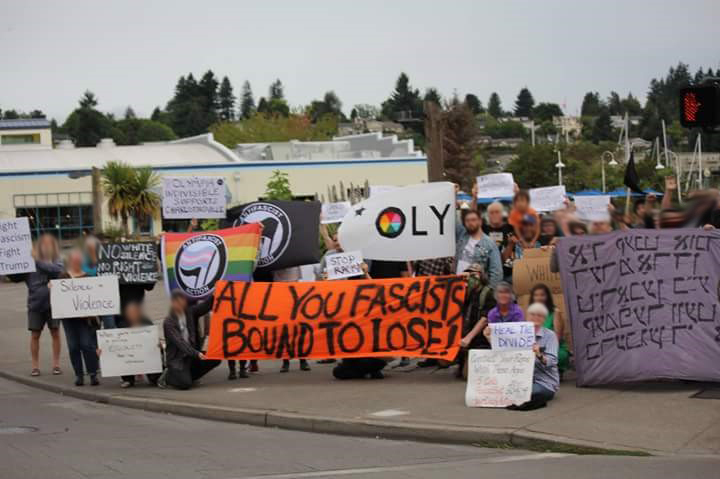 Fliers were handed out and an announcement was made for the Solidarity Against Hate rally in Seattle.